Many engineers and musicians would love to own an original Pultec EQP-1 equaliser, but the simple truth of audio equipment is that – unlike violins and brandy – electronics don’t improve with age. Even if you can find one on the vintage market that’s in decent shape and fully functional, the exorbitant price tag can be somewhat preventative…and the maintenance a potential nightmare. 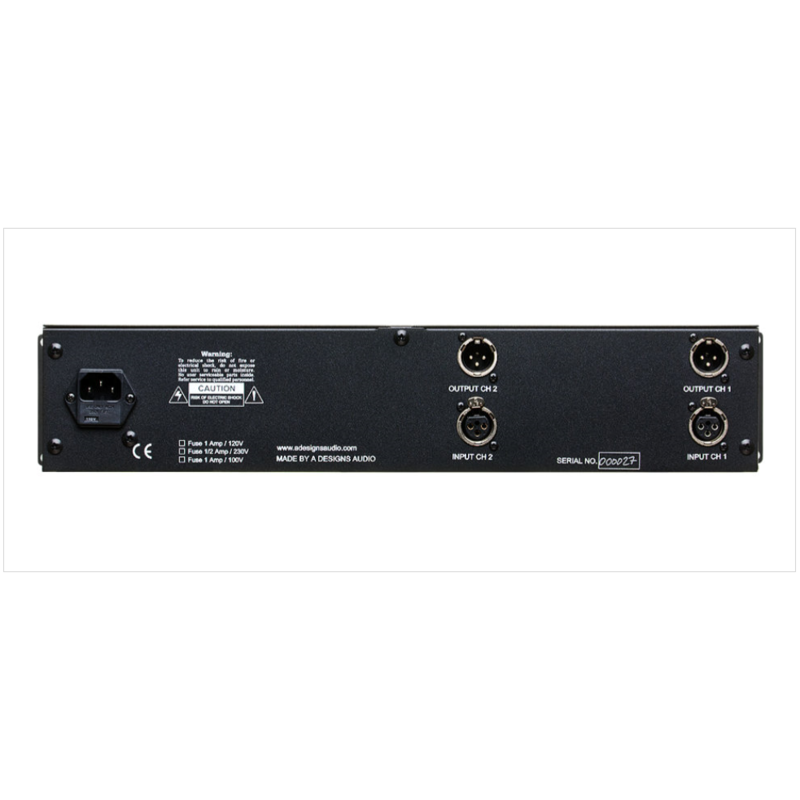 The A-Designs Audio EM-EQ2 is the answer for those who want the stellar sound of a Pultec equaliser plus the added benefit of modern performance and reliability. The EM-EQ2 faithfully preserves the EQ section design, control layout, and wonderfully smooth musicality of the original Pultec. It also has the same frequency settings and inductors that made the Pultec a must-have for accurately capturing and shaping the sound spectrum, especially the bottom end. The high band is attenuated at 5k, 10k, 20kHz; bandwidth and boost can be varied mid to high band at 3k, 4k, 5k, 6k, 10k, 12k, 16kHz; and, of course, the low band can be boosted and/or attenuated at 20Hz, 30Hz, 60Hz, or 100Hz. Boost and attenuation can be adjusted from 0dB to ±10dB. 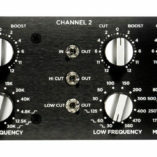 Eminently suited for tracking, mixing, or mastering, the two-channel EM-EQ2 is housed in a rugged, metal 2U chassis. It shares the same custom-milled faceplate, brushed-aluminum control knobs, big jewel power indicator lamp, and heavy-duty Carling toggle switch as the A Designs Hammer (which compliments the EM-EQ2 perfectly). 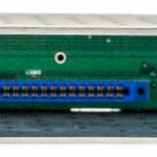 Additional features include a proprietary nickel-core Cinemag output transformer, Wima capacitors, and true hard bypass. Instead of using common off-the-shelf chokes, A-Designs Audio employs a Cinemag custom wound tapped inductor. Along with the classic EQ circuitry, layout, and exceptionally musical tone of the original Pultec, the EM-EQ2 offers fully balanced, noise-free performance and modern impedance specs, making it easy to integrate it into any environment. 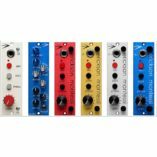 Here’s the best part: with its dual-mono design, the EM-EQ2 gives you two Pultecs for a fraction of the price of one, making it easier than ever to add the Pultec magic to any project or professional recording studio or live rig. Dual mono, three-band band, Pultec-style EQ. 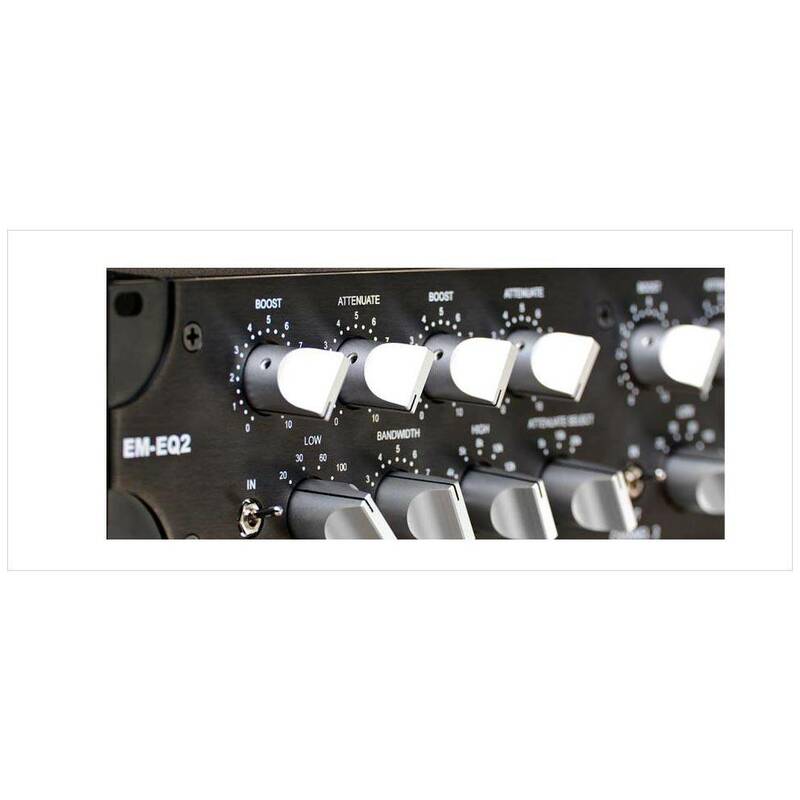 Faithfully preserves the EQ section design, controls, and musicality of the Pultec EQP-1. Eminently suited for tracking, mixing, or mastering. Same frequency settings and inductors as original Pultec make it a must-have for capturing bottom end. Quick and easy studio integration. A-Designs proprietary, custom-wound tapped Inductor. A-Designs proprietary nickel core output transformer. Rugged 2U metal housing with custom-milled faceplate and control knobs. Big jewel power indicator lamp with heavy duty Carling power toggle switch. Attenuate high band: 5k, 10k, 20kHz. The sound of the REDDI all-tube direct box on my bass and guitars is dramatic. When people come in and listen, they just go “WOW what’s that? What did you do to get that sound?” “It not only delivers on bass and keys, but just out and out kills on acoustic guitars with pickups. It puts something on the sound that makes them jump and be present in the mix without that “electric-type” sound. Ted Perlman, Grammy Award-winning producer, engineer, musician (Bob Dylan, Chicago, Elton John, Burt Bacharach). Now, the REDDI is my favorite DI and definitely my go-to on bass. Dylan Dresdow (Black Eyed Peas), Grammy Award nominee, TEC Award nominee, engineer. If it needs to be really clean, then I’ll just use the REDDI. I didn’t use an amp at all. I used only the REDDI and it sounded really, really nice. I say this quite seriously: the Pacifica went immediately to the top of my list for recording electric guitar, not on the grounds that if it can make me sound good it must be brilliant, but on the grounds that what it delivered to tape was just what the PRS/Mesa should sound like, and does sound like live, but in my experience rarely does so on record. I bought a Pacifica for drum recordings. Before I got it, I searched the Internet for any drum recordings made with the Pacifica but I did not find anything. So I recorded drums on my own with the Pacifica and a pair of Avenson Audio Sto-2 Mics. Maybe this is interesting for your readers especially if they record drums also. After hearing so many good reports about the Pacifica I had to try one out for myself. Frankly I was stunned. Everything I have tracked with it has a beautiful air and sheen around it that just sit beautifully in the mix. It has brought my mic collection to life – both the expensive and the inexpensive. I am currently trying to offload as much gear as I can, and my soul if necessary, to get a bunch of them! The Pacifica has the depth of the Neve, the top end of a GML and the punch of the API-all rolled into one great mic pre. I’ve put the Pacifica to work on absolutely everything imaginable over the last three months and I have yet to be disappointed. In a room filled with a very wide selection of pres such as 550’s, 1073’s and many more, the Pacifica instantly became the most frequently used preamp. Yoni Gileadi-films and music: IMAX Mysteries of Egypt, IMAX Texas: The Big Picture, IMAX Mystic India; Recordings/Remix: Kaskade, Backside, David Bowie mash-up remix, Love Digit, Sunfall, Sofina. Finally a mic pre and D.I. for those of us tired of squinting with our ears. Its the past-but the way I WANT to remember it. If I had to start over, the Pacifica would be the first preamp I would buy. I’ve never heard a preamp with a 70’s character that has such an open top end. 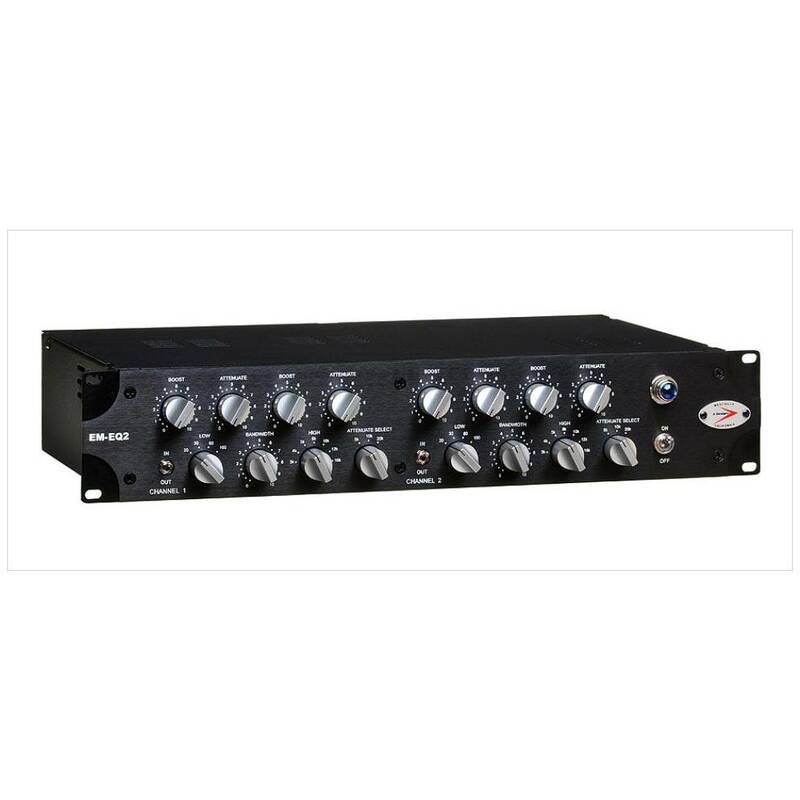 It’s the most versatile preamp in our collection of 11 types of preamps. My overall impression is that it sits in there like a nice cross between Neve-ish and API-ish tones but with better transient response and more high end detail…overall very musical. I swear it went another octave above the API and Great River. I can see it being an extremely versatile preamp that would get a lot of use on everything. Perfect for a small studio like mine that can’t afford to have 20 different specialty preamps. Definitely a color that I could ‘paint’ the whole album with. I thought I was done buying preamps until this one arrived; it was like the last piece in the jigsaw puzzle that made the picture complete. Now, what am I going to tell my wife? With thousands of dollars in vintage microphones at hand, only the Pacifica makes them sound the way I expect every time, now that I have heard it, no other mic pre will do. If you are thinking something along the lines of an API pre, you really owe it to yourself to play around with the new A Designs Pacifica preamp. It has a similar feel/sound in the lows and mids (huge low end with slightly forward, but not obnoxious mids) but a top end that is extended and beautiful. On orchestral recording, it makes you sit up and take notice of the orchestra on the loud stuff, but yet has the subtlety needed for chamber music. A Designs Audio’s Pacifica is a perfect “10” Brains and Beauty! Now, my dilemma is that I want to keep the Pacifica even though I already own enough damn preamps. Should I sell one of the other ones? Damn. active & passive DI boxes, headphone amps, headphone splitters, phantom power supplies, multiway 9v keyboard power supplies, digital wireless systems for guitars, brasswind, broadcast/presentations, chassis loudspeakers,mic pre's, valve DI boxes, powered personal monitors, 19" rack systems, mixer-amps, power amps, installation mixer-amps, zoners, speaker systems, cables.